Swindle Dev: How Can Consoles Improve Ties With Indies? Dan Marshal thinks that Microsoft and Sony need to "ape Steam," by offering no signup costs, no lengthy review processes and no fees for patching for indie devs. Dan Marshall is the man that brought us Time Gentlemen Please and Ben There, Dan That, hilarious indie adventure games that Marshall describes as "love letters to the old LucasArts games, with an anarchic, rude, sweary sheen on top." He is currently working on procedurally-generated monkey deathmatch platformer Gun Monkeys as well as steampunk/cyberpunk game The Swindle. In an interview with Velocity Gamer, Marshal talks about his past and future games, what the future holds for indie devs, and how Microsoft and Sony can improve their relationships with the indies. "If they want indies to come flooding, they probably just have to ape what Steam does," said Marshall, when asked what Sony and Microsoft can do to coax indie developers to make games for their upcoming next-gen consoles. "No signup costs, no lengthy review processes, no fees for patching. Basically indies have very little time or money, so shaping the service to reflect that is a good idea." Marshall is known for selling his games at an extremely cheap price-point. Ben There, Dan That and Time Gentlemen Please debuted on Steam for just Â£3 ($4.61 USD). When asked if this was some kind of financial strategy, Marshall explained that "I didn't really know what I was doing. Time Gentlemen Please was a voiceless game in a dead/dying genre, I thought anything more than Â£3 would be a really tough sell. It worked, in that people take a punt on it, but I definitely regret not starting the price high and being in a position to lower it over time." 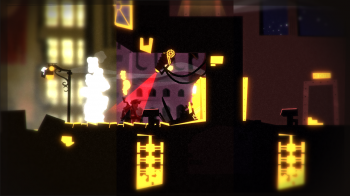 The Swindle is Marshall's upcoming steampunk/cyberpunk platformer, and it's taking so long to develop that Gun Monkeys is being made in the interim. "[It's] the biggest thing I've ever worked on," he says, "It's a pure platform game experience, I've never really done anything like it. Hence why it's taking forever!" "I think indie developers are getting better at what they do, and now it's a viable career path really talented people are taking the plunge," says Marshall. As for what the future holds for the indies, Marshall would "like to see more freedom in game worlds, stories that bend around my actions rather than leading me down a path. Let's use some processing power for something other than trendy graphics, eh?"